Its getting to be that time of year again where guests stop by more often, and we’re being invited out to more parties. 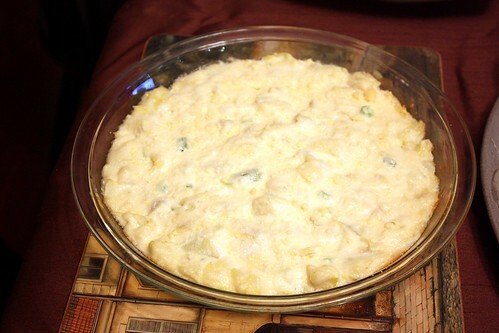 Which means I need to dig out all the quick and easy appetizer recipes to have on hand. 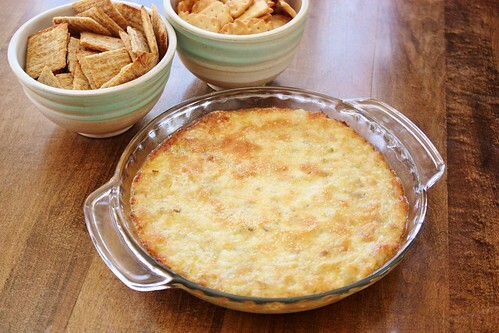 I found this Hot Artichoke Parmesan Dip on Kraft Foods Canada a few months ago and tried it out at a party with friends. It tasted amazing and was a big hit! The best part is that it is ridiculously easy and has ingredients that you may even have on hand already. 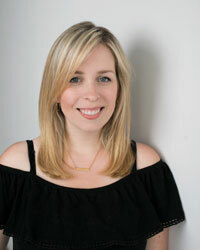 I was also able to make it ahead of time earlier in the day and just heat it up at the party, which was a huge time (and stress) saver. I’ll be making this for parties again for sure. I’m not even a mayo person and I loved it! 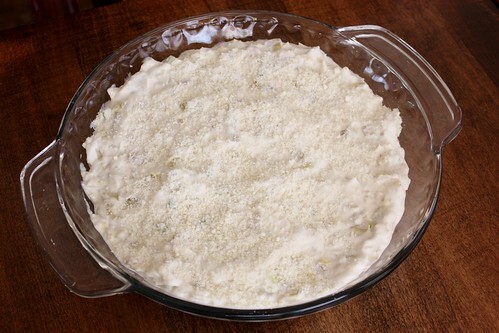 Transfer to a ovenproof dish and sprinkle with extra parmesan if desired. I did – extra cheese is always good. Bake 15 minutes or until hot and bubbly. To make a browner top, place under heated broiler immediately after baking. Broil for 1-2 minutes or until lightly browned. I didn’t do that this time and I wish I had, to make the top even crisper. 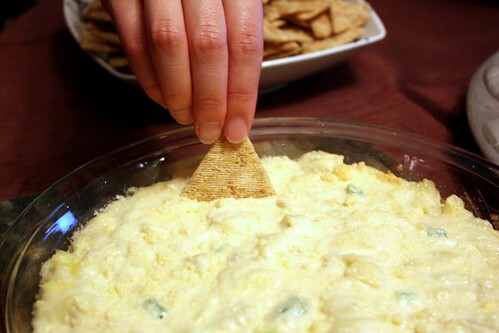 Serve with crackers, pita chips or veggies. 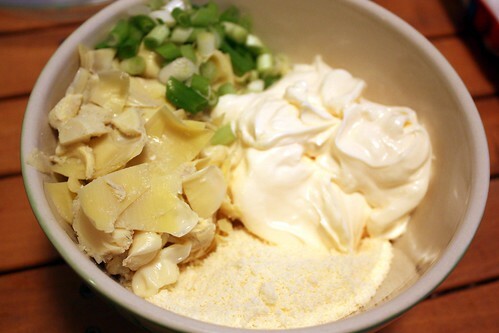 To Make Ahead: Mix dip ingredients, place in dish and cover. Refridgerate for up to 24 hours. When ready to serve, bake, uncovered at 350°F for 20 minutes or until hot and bubbly.